As they say, privacy and security are important things for everyone, but it has some of its consequences as well. One such case appears when you accidently forget the password of an important encrypted document, a PDF to be price, and you have to submit that critical report or draft in an emergency, but you can’t do anything. Today I have a fantastic solution to recover from such problems, and it is a software that helps you recover or access any password protected PDF document. Also, you can perform other functions like editing, etc. in the encrypted PDF. So without any further talking, let’s start the review of this incredible trouble saving tool, Cisdem PDFPasswordRemover 3. Cisdem is a leading software development company and provides dozens of utility tools and applications for multiple devices. 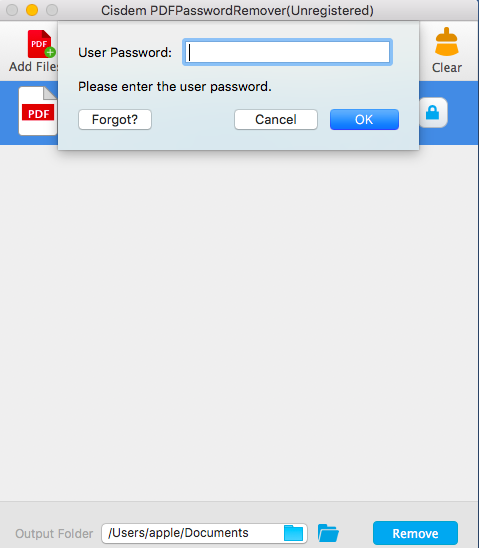 The PDFPassword Remover3 is one such offering from the developers to help you out. 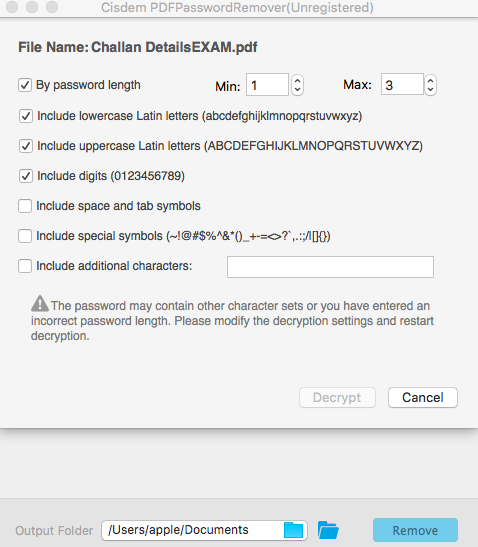 It is the beastly application for decrypting PDFs and to gain proper access to any password protected PDF document. It unlocks the registration of both Open Password and Owner Password. It is a paid software application, and its usage is restricted to Mac Users only. The decryption process is very fast, simple with a smart algorithm, and you can easily get the access to any encrypted PDF document. So, let’s get started with all setup and installation process. Without any doubt, Cisdem is a paid software with so many remarkable features, but the company also offers a trial version for all the users to test out the features and its powerful decryption capabilities. The company offers a trial version for all the Mac users which you can download directly from its official website. The latest version of the product is 3.5. The installation only takes up few seconds and you can start the decryption of your document quickly from your Mac Device. For testing, I’ve used this tool on my MacBook Pro & my friend’s iMac Pro. No doubt, the software runs efficiently on any device and only needs minimal requirements. It supports devices with OS 10.7 and up and doesn’t requires any additional application to run seamlessly. 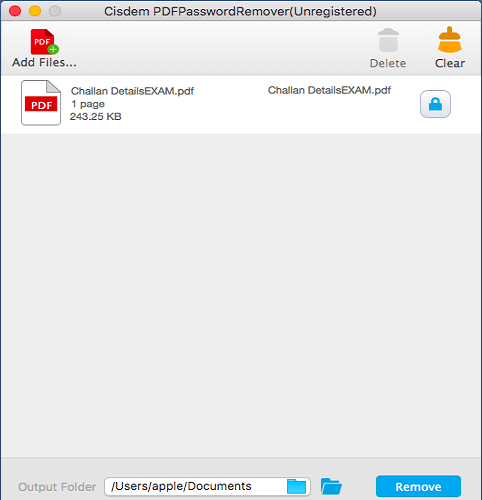 Open the locked document or PDF file in the PDFRemover. At first, if you can remember the password of the PDF, then quickly enter the password. If you don’t know the password of the paper, then you can go for a brute force attack on the PDF file. Simply click on Forget? and there you can see a new window containing all the details related to decryption. Simply keep the setting you want for password decryption process and uncheck rest of them. After this step, the software now automatically guides you to proceed with further steps, and it will then guess the password using a smart algorithm. And the magic happened, your Document is decrypted now! Since it is a review and a full guide, so I wouldn’t go deep into the tutorial on how to remove the passwords. Moreover, you can visit the website for complete documentations and guide on the easiest way to open password protected pdf file here. Easily decrypted User Passwords or Recover Owner Passwords. You can use the improved Decryption Speed to remove the Owner Passwords, and you can do batch decryption on than 200 files. Unlock open passwords and decrypt passwords by checking password guesses such as characters, length, numbers, etc. Supports PDF version 1.0-1.7, and OS X 10.7 – OS X 10.11. Also, it supports multiple languages like Latin, Russian, English, Greek, etc. 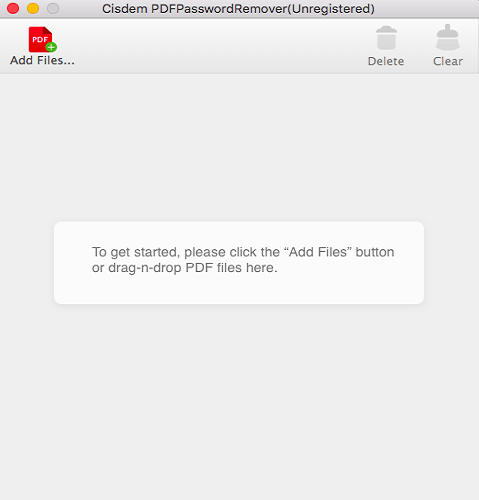 The application works independently and doesn’t require Adobe Acrobat Reader or any other PDF Readers. PDFPassword Remover doesn’t alter the contents of any document PDF. So, you can easily access any document without changing any important text in the document. So much does this remarkable software costs for a standard license? Well, the basic pricing starts as low as $34.99 for the single user license, and the company offers lifetime update and support for every Mac user. Moreover, there are other plans for the users as well. 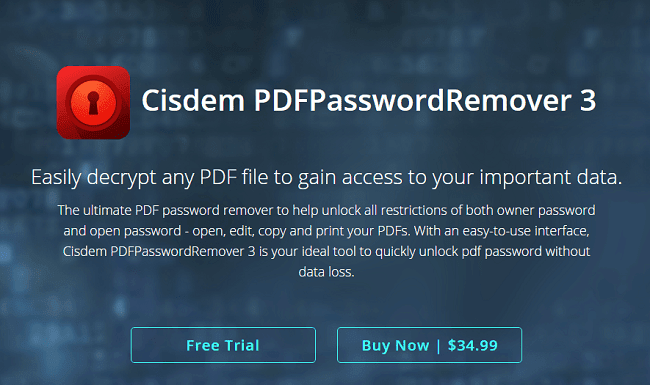 So this was my take on a remarkable software, Cisdem’s PDFPassword Remover3 which allows you to remove passwords from different kinds of PDF files and eBooks. Do share your thoughts on the tool below and please let me if you’ve tried this tool. Cheers!